hello! just wanted to drop in to share some sneaks for studio calico august kit - sandlot! i received my kits 3 days ago and went straight to play and made these 2 layouts! my first sneak is of my main kit only layout. i love love love the 'be happy' stamp designed by shanna so i got my color theory inks out and created a colorful background for my black and white photo of ethan. these ink pads come in 12 beautiful colors and are perfect to work with the kits! refills for these ink pads are also available now! 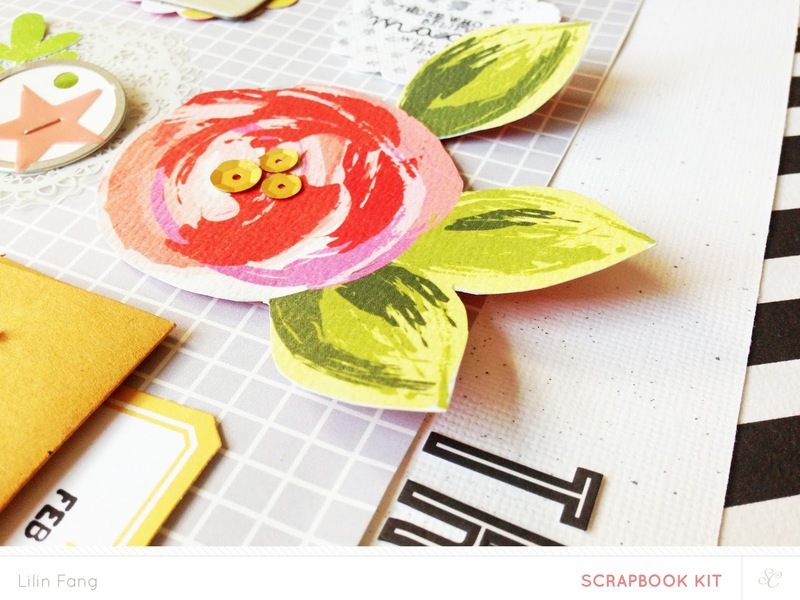 the kits are filled with lots and lots of beautiful paper and embellishments this month! i especially love this rose paper from hercules (add on 1). i'm happy i can cut many roses from that single piece of paper. 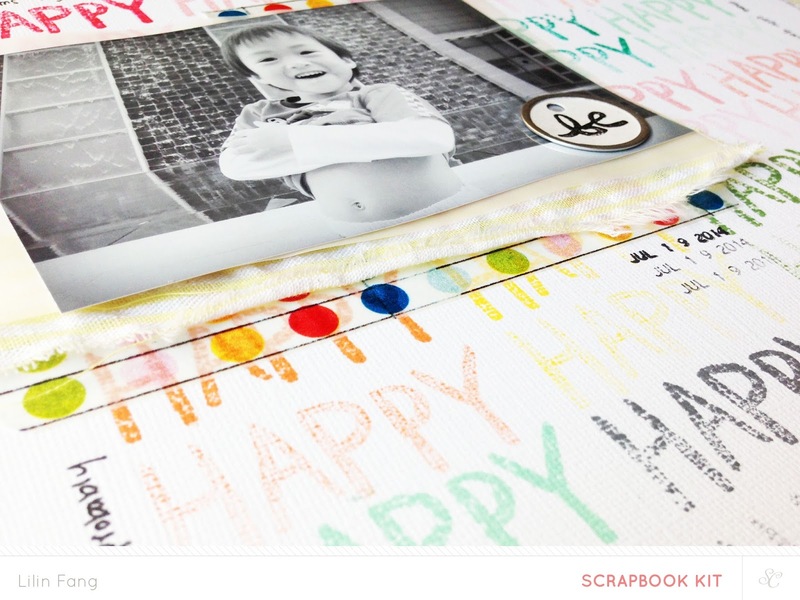 in addition to hercules, i used a mix of the main scrapbook kit, jet (add on 2) and smalls (add on 3) for this layout. remember, the reveal is on 27th at noon EST/ 11am CST for subscribers and 27th at midnight EST/ 11pm CST for non subscribers. Love those sneaks!! They look gorgeous!